My name is Charlene Bouma and I am the manager at Pondera Medical Center’s Wellness Center. I just started the 6th Pondera County Biggest Loser Contest November 1, 2012. I will run the contest for four months ending February 28, 2013. Pondera Medical Center Wellness Center along with Stockman Bank of Conrad, Blue Cross Blue Shield of MT, 3Rivers Communications, U 2 Photo and Identity Screen Printing & Embroidery has been generous sponsors of the Pondera County Biggest Loser Contest. Numerous prizes have been given in the 4 years totaling $5,130 along with the ultimate prize better health. PMC Wellness Center donates a 1-year membership to the winner, and 3-4 3-month memberships to the group winners. Participants weigh-in and measure every other week. 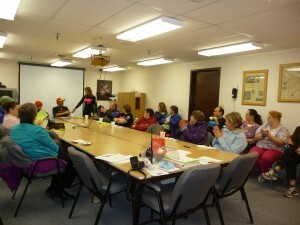 Participants form groups of 3-4 to help encourage, motivate, support, and hold each other accountable on their weight loss quest. Participants are provided an individualized workout program. There is also blood pressure and heart rate monitoring available. A Registered Dietitian is available for nutrition consults and we provide key speakers for the participants. We have added a 20/20/20 fitness class to this program, along with flexibility and strength testing, and group motivational workouts with a fitness specialist. The knowledge taken from the different speakers has been priceless to the participants. Participants have been able to discuss with 3 different providers, a Registered Dietitian, and knowledgeable personnel from the MSU Extension office regarding diets, healthy eating, and health related problems, losing weight, and healthy life style changes. In 2009, 43 participants lost 462 pounds and 1,674.5 cm or roughly 56 feet in 12 weeks. Upon request I ran the contest twice in 2009. The second group of 33 participants lost a total of 275 pounds and 1,544 cm which is close to 51 ½ feet in 16 weeks. In 2010, 42 participants lost 260 pounds and 1,281.6 cm which is close to 42 ¾ feet. In 2011, 23 participants lost a total of 230 pounds and 381.24 cm which is close to 30 ½ feet. In February of 2012, 34 participants lost a total of 411 pounds and 1,932 cm which is almost 64 ½ feet. In 4 years a total of 1,638 pounds have been lost along with 6,813.34 cm which is close to 202 ¾ feet. I am looking forward to the contest that just started and the success stories that will come. 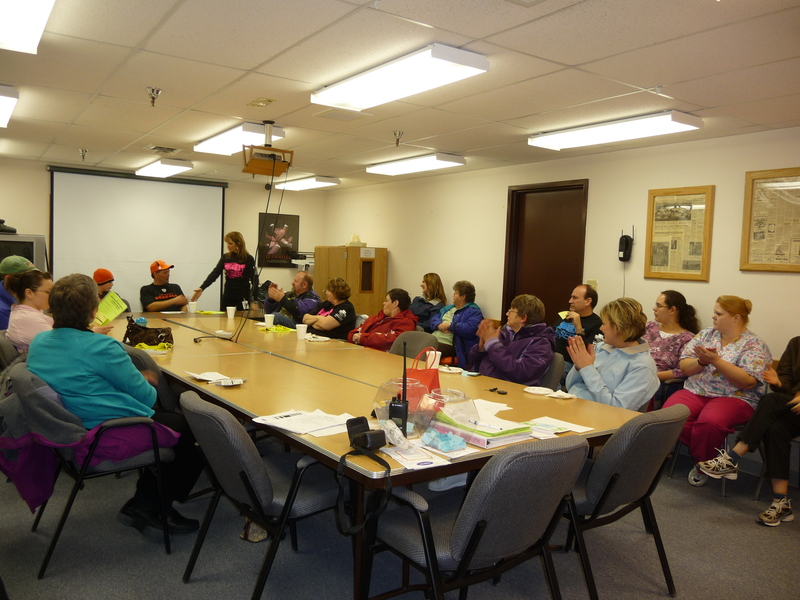 In the past the PMC Wellness Center along with the different speakers have helped these participants lose weight, decrease their measurements, eat healthier, not to mention increase their heart, lung, and overall health. If your travels take to Conrad, MT I encourage you to stop my Pondera Medical Center Wellness Center and view the success for yourself. 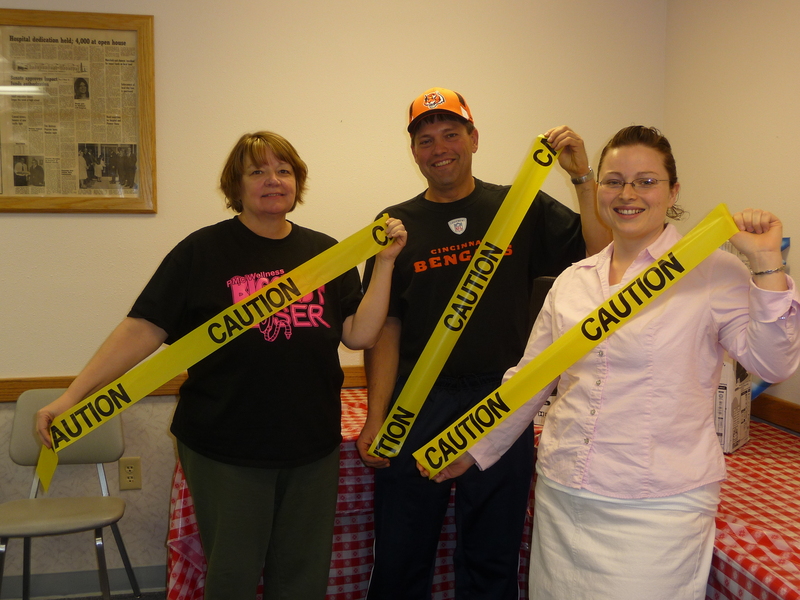 Look for the ‘Caution’ tape right outside the gyms door. The caution tape is an indicator of the participant’s current conquest for their cm lost. If this program is fortunate to win the $100 gift card to Amazon, I will purchase some sort of health related cookbooks/books for each participant. Posted in Active Living, Pondera, Programs.